I have two stages: production & staging. Doesn't appear to do anything at all. I even tried up prune staging. Nada. It does both at the same time currently, but I thinkkkk you're right, having some granular control there would be good! 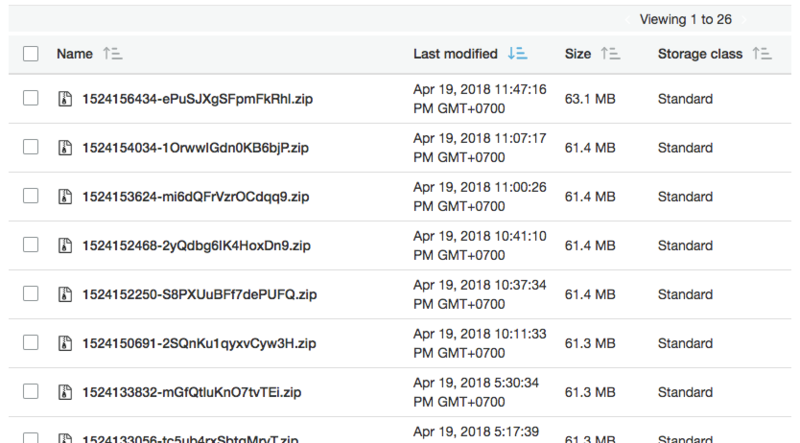 When I take a peek in the S3 bucket, all the prior zip files are still there. I only have one up bucket, and it's in the newer format (removed the #s): up-xxxxxxxxxxxx-us-east-2. I'm going to try something drastic and rename the whole bucket though. See if it starts behaving with a new bucket. Update: I completely deleted my stack and started from scratch. (Drastic, I know). But starting fresh solved nothing. I'm still getting prune: 0 old files removed from S3 (0 B) (1.549s) and I know there are (currently) 9 zip files in the staging S3 folder and 4 in the production folder. And it (sure enough) left two zip files—but only the zip files under staging. I would have expected it to leave two under production too, but nope, those are all gone (no worries, but good to know).